Used for Off-Air TV Antenna, Amateur (Ham) Radio, Wireless Internet Antenna, MMDS and Cell Phone Signal Booster Installations (not included). All Telescoping push-up Masts are galvanized and come with hardware designed to support light duty antennas in various applications. The unique Rohn design features interior tube flanging combined with a double crimped exterior tube to produce a stronger and more stable joint than most common mast. Each section extends deeper into the lower tubes than most designs, adding to the masts stability. Height describes the overall pipe length. Due to overlapping, extended masts will be shorter. 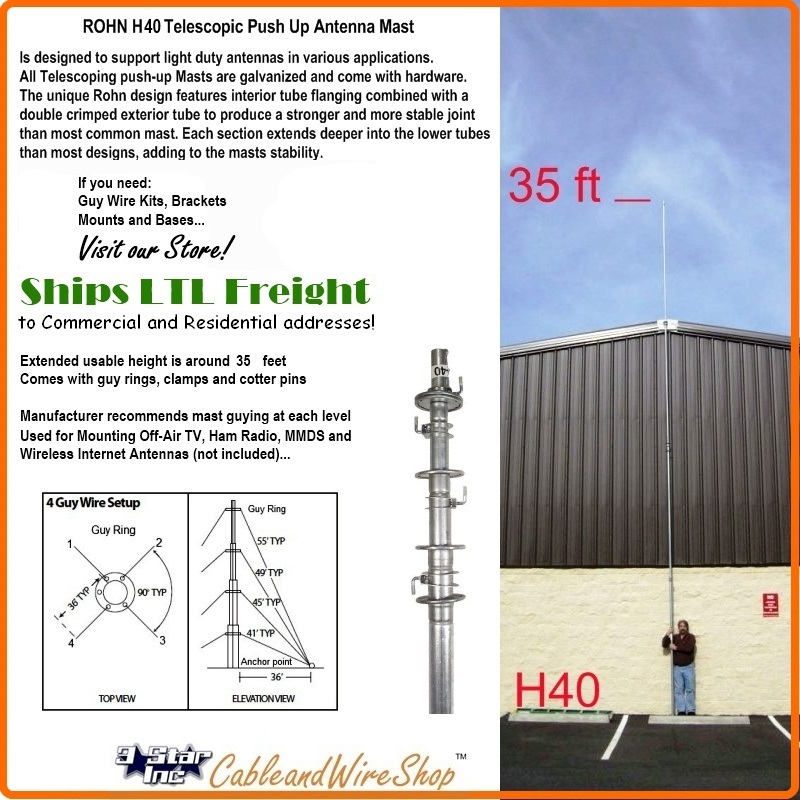 This Mast extends to about 35 Feet in actual height that ships to Commercial and Residential addresses alike. Estimated Usable Extended Height is around 35 feet. Compare to Channel Master 1640, 1650, 1840 Telescopic Masts! 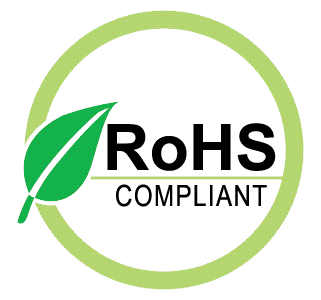 All Masts are pre-galvanized for corrosion protection and comes assembled with hardware .